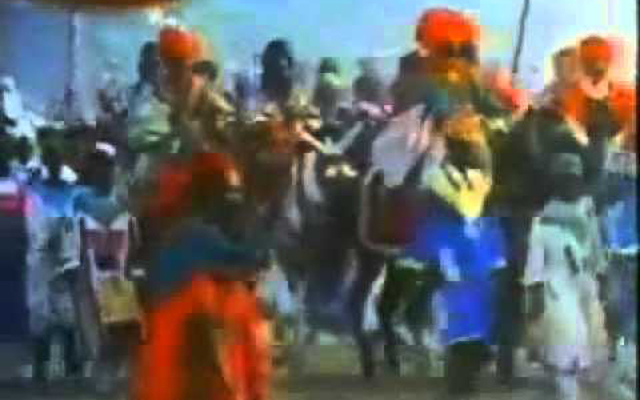 In ancient times it was widely believed that Egyptians came from the Ethiopians, but in the 1800s many European scholars began to distance Egypt from black Africa, from “Africa proper”. They looked to Asia or even North Africa for the seeds of Egyptian civilization. The black people found in Ancient Egypt were seen as slaves in a white civilization. Their women wear on each leg a ring made of bronze, they let their hair grow long, and when they catch vermin on their person, bite it and throw it away. The Libyans did in fact take over and rule Egypt for a while, but that was thousands of years after the rise of Egyptian civilization. The same goes for all the light-skinned rulers of Egypt – the Persians, Greeks, Romans, Arabs and Turks. In fact, their settling in Egypt is proof not that Egypt was white, but that it used to be much blacker than it is today. I could not find any photographs showing the four Egyptian divisions of mankind but I did find some coloured drawings which I put here in the order given by Diop. Whites were not only last, they were the only ones pictured as savages (as most were back then some 3,500 years ago). European scholars jumped on this to show that the Egyptians did not regard themselves as black. Yet, as one of these very same scholars pointed out elsewhere, copper is part of the natural skin colour range of black Africa. The Egyptians naturally saw themselves as being different and apart from everyone else. But they also saw themselves as being closest, in appearance and civilization, to “Africa proper” – and farthest from whites! And that in the words of a scholar who tried to prove the Egyptians were not black! a white skin of the most delicate shade, a nose straight or slightly arched, blue eyes, blond or reddish beard, tall stature and very slender, clad in a hairy ox-skin, a veritable savage, tattooed on various parts of his body. The Egyptians also painted their gods black. Isis, for example, always has the skin colour of a Nubian. If Egypt was a white civilization with black slaves then why the black gods? Most people paint gods in their own image, not that of their slaves. Chapter 4: Origination in the Delta? Diop argues that Egyptian civilization did not first appear in the Nile Delta. Some scholars, interested in proving that Egypt got its civilization from light-skinned outsiders, have argued that it began in the Delta. After all, if civilization came from Asia, North Africa, and Europe or over the Mediterranean Sea, then it would appear first in the Delta and then spread up the Nile to Upper Egypt. Diop says there are no hard facts to support this. True, the Delta is far wetter so less comes down to us there from ancient times, yet even wood is able to last there for up to 4,000 years. So there should be at least some hard facts in its favour. Instead it is a theory without any hard facts to support it. If the facts are simply missing due to wetness or bad luck, then the history of Upper Egypt should not make complete sense on its own. But it does. Civilization arises there step by step. Its archaeological record goes back over 9,000 years without any break that a Delta origin of civilization would help us to understand. The pharaohs mostly ruled from Thebes in Upper Egypt. When they ruled from Memphis near the Delta, it was for military reasons. And even then when the pharaoh died, they sent his body back to Upper Egypt to be buried. 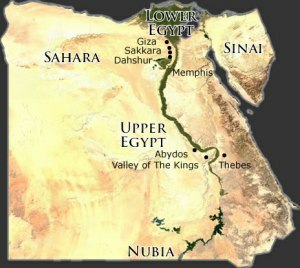 Upper Egypt, particularly in and near Thebes, was the centre of Egyptian religion. The worship of Osiris was centered there. The oldest books have the gods coming from Upper Egypt or further south, never from the Delta. The first fight between Set and Horus took place in Nubia to the south. All this makes sense if, as the ancients believed, Egyptians came from Ethiopia. Or if Egyptian civilization simply started in Upper Egypt. But if the gods came from the Delta, as some maintain, it would make little sense. Egypt has always been mainly a land power, not a sea power. Which would be odd if it was born in the Delta, right near the Mediterranean Sea? The Delta became habitable and Memphis even possible due to advanced public works upriver in Upper Egypt. The Delta was subject to war and plague far more than Upper Egypt, making it a less favourable place for civilization to start. Some argue that the Egyptian calendar started in Memphis because that is where the Sun and Sirius seem to rise together. Yet that same calendar’s oldest known date is 4236 BC, a thousand years before the founding of Memphis, back when the place where Memphis was to be built still stood under water. In short, a Delta origin, instead of making better sense of what we know about Egypt, makes it more of a mystery.